Describe the economic principles that underlay plant appraisal. Describe the types of field data needed to inform plant appraisal methods and techniques. Define the cost compounding methods within the income approach and understand its relationship to the i-Tree suite of urban forestry management and assessment tools. Define the research about the contribution of trees and landscape to real estate market value, and its application to plant appraisal. Discuss the methods and techniques within the cost approach, particularly the direct, reproduction, and cost forwarding methods. Define reasoned judgments about the value of trees and landscape plants. What are the Benefits of Becoming Tree and Plant Appraisal Qualified? Increased credibility. Having the TPAQ credential boosts your credibility. It demonstrates that you understand and can apply the approaches, methods, and techniques of appraisal into your work product. Standing out. Including information about your TPAQ credential on your website, on business cards, and in promotional materials will help you stand out from your competition. Attendees must have a minimum of three years of experience in arboriculture, horticulture, forestry, landscape contracting, or landscape architecture/design. 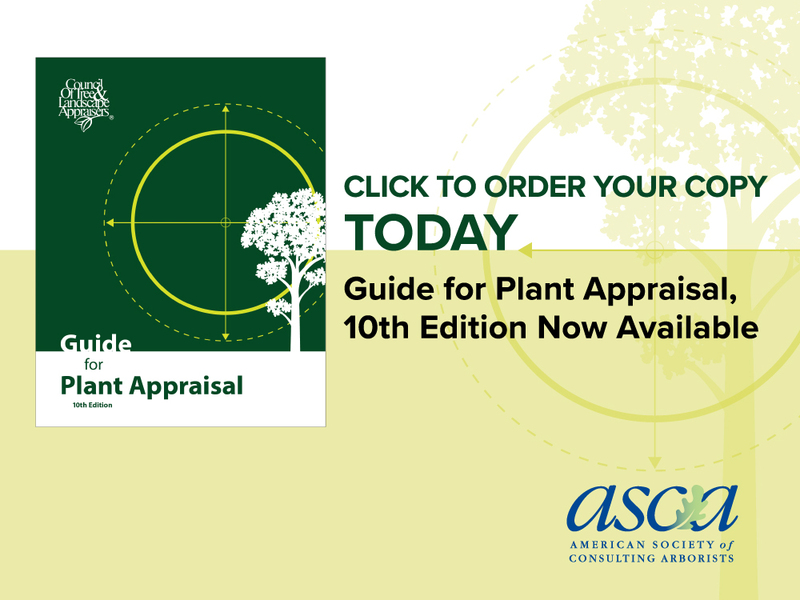 The 10th edition of the Guide for Plant Appraisal is the required text for the TPAQ course. See the ASCA Events Calendar for more information. The TPAQ credential is valid for five years from the date it is earned. To maintain the credential, TPAQ holders must retake the TPAQ course and pass the exam every five years, or when the Guide for Plant Appraisal is updated--whichever comes first.